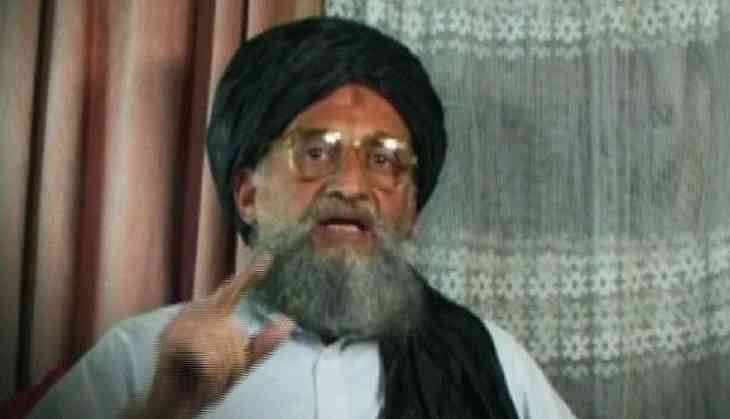 Report claims Al Qaeda chief al-Zawahiri is hiding in Karachi. Will Trump order Osama-like strike? A news report has claimed that Al Qaeda chief Ayman al-Zawahiri, one of the world's most wanted terrorists, could be in Karachi, under the watchful eyes of the notorious ISI. This has brought back memories of the 2 May 2011 midnight raid in Abbottabad by US special forces, which killed Osama bin Laden. The raids had left the Pakistani security establishment red-faced, scrambling for reasons to explain bin Laden's presence in the garrison town. The report in Newsweek quotes Bruce Riedel, a former CIA official and advisor to the last four US Presidents, and comes as another blow to the Pakistani security establishment, which is trying hard for an image makeover – from a supporter of terror groups to a victim of terror. “That someone like Riedel is saying this will make it really difficult for the Pakistanis to counter,” a security analyst says. It could also have serious ramifications, since countering Al Qaeda is still on top of the agenda of the US National Security establishment. Recently, when the new US National Security Advisor, General HR McMaster visited Afghanistan, Pakistan and India, he had suggested in an interview to an Afghan news channel that Pakistan give up on its policy of selectively going after terror outfits. Riedel, a big name in the international security community for all things South Asia and the Middle East, said while there was no positive proof, there were indications, including material recovered from the Abbottabad raid, which point that the ISI may have sheltered the Al Qaeda chief in Karachi. The country's business hub, interestingly, was also the target of the Pakistani's security establishment's National Action Plan against terror groups. Meanwhile, another unnamed senior Pakistani security official, who was quoted in the Newsweek report, did not specify that al-Zawahiri was in Karachi. But he did say that the Egyptian doctor-turned-terror chief was at large in a 'big Pakistani city'. Karachi would fit that description. The Pakistani official also claimed that bin Laden's 26-year-old son Hamza may also be in Pakistan, sheltered by the ISI, which is notorious for its tacit support to several terror groups, including the Taliban and Al Qaeda. Al-Zawahiri's relationship with Pakistan goes back to 1980, when – according to his memoir, Knights Under the Prophet's Banner — he arrived in Peshawar along with two other doctors, looking for a secure base for Jihad. The relationship has continued since. The report claims that al-Zawahiri may have been moved to Karachi after a January 2016 drone strike by the US forces, which he escaped narrowly. The strike targeting the house in Shawal valley in FATA, where al-Zawahiri was staying, had left his eyeglasses broken. The drone targeted the room which al-Zawahiri had shifted from just 10 minutes before the strike, according to reports. Another former diplomat said unlike Bin Laden, who had taken shelter in Abbottabad with his family, and was living there for many years till he was targeted by the US special forces, it may be easy for the Pakistani security establishment to keep moving al-Zawahiri from one city to the next. “If no family is involved, then it becomes easy,” he explained. What's in it for ISI? Moreover, security analysts say that it would serve several purposes for the ISI to shelter the chief of Al Qaeda, a terror outfit which has a history of carrying out strikes across the globe. “Al Qaeda may be lying low at the moment, but they could use it in the future,” a security analyst said, explaining how the ISI is still supporting members of the anti-India Khalistani groups, despite knowing how their influence has waned. Could the ISI kill him, instead, or turn him over to the US? “It is unlikely, for they would not want the Taliban and Al Qaeda, two dreaded terror outfits, to turn against them if they were to do something like this,” the former diplomat said. “They could afford giving up on people like Abu Yahya al Libi, who was killed in a drone strike, or Sheikh Mohammad, who was captured from Pakistan, but chances that they would allow the Americans to capture al-Zawahiri are bleak,” the security analyst said. What will Trump administration do? In that case, could US President Donald Trump order a strike on Karachi like his predecessor Barack Obama did on Abbottabad? It is not going to be easy, as the metropolis, the financial nerve centre of Pakistan, is densely populated, among other things. It also houses several defence facilities. However, with Trump in the White House and Lisa Curtis the new senior director in the State Department looking after South Asia, Pakistan could continue to face the heat. “The US should no longer settle for Pakistan's excuses for delaying a full-throttle crackdown on these terrorist groups, and should instead hold Pakistan accountable for the activities of all terrorist groups on its soil,” Curtis and Hussain Haqqani, the former Pakistani diplomat, had recently argued in a paper for the Hudson Institute. “For too long, the US has given Pakistan a pass on its support for some terrorist groups based in Pakistan, including those used against India,” the paper had said. TWEET THIS Is ISI hiding Al Qaeda chief Ayman al-Zawahiri? Here's why the Newsweek report could be true Report claims Al Qaeda chief al-Zawahiri is hiding in Karachi. Will Trump order Osama-like strike?